Who lives in a pineapple under the see? Sponge Bob Square Pants! 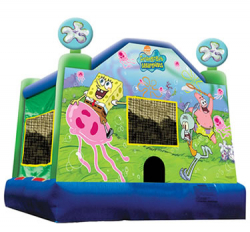 It's all fun and games when you rent this Sponge Bob bounce house. Large 15' x 15' bouncer.